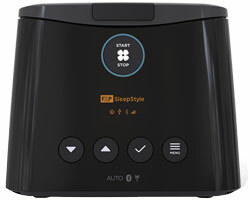 The F&P ICON+ Auto is the fully featured Auto CPAP which combines all of Fisher & Paykel Healthcare’s leading clinical technologies including our advanced auto-adjusting algorithm and SensAwake Technology. The F&P ICON+ Premo is the premium fixed-pressure CPAP with full compliance and efficacy reporting. Now including SensAwake™ pressure relief technology. The F&P ICON+ Novo is a standard fixed-pressure CPAP with compliance reporting.